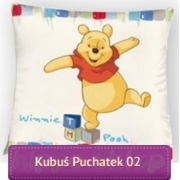 Baby bedding Winnie The Pooh 04 crib / baby bedding for boys with characters Winnie the Pooh and Piglet on the blue green and white stripes background. 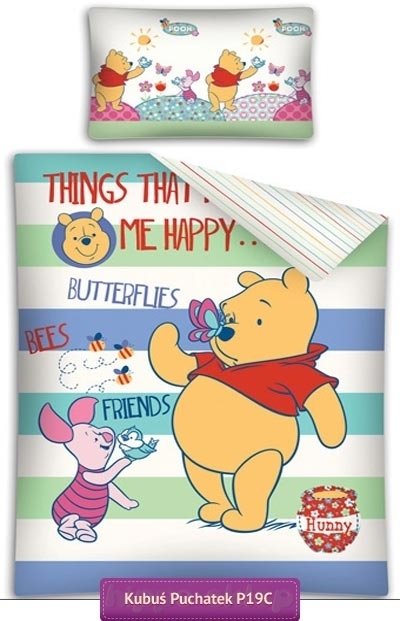 2- pieces set baby bedding composed of pillowcase size 16x23 inches (c.a. 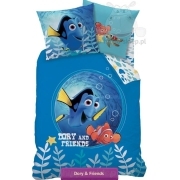 40x60 cm) and duvet cover size 39x53 inch (c.a. 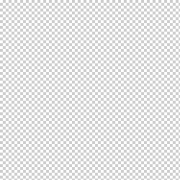 100x135 cm). 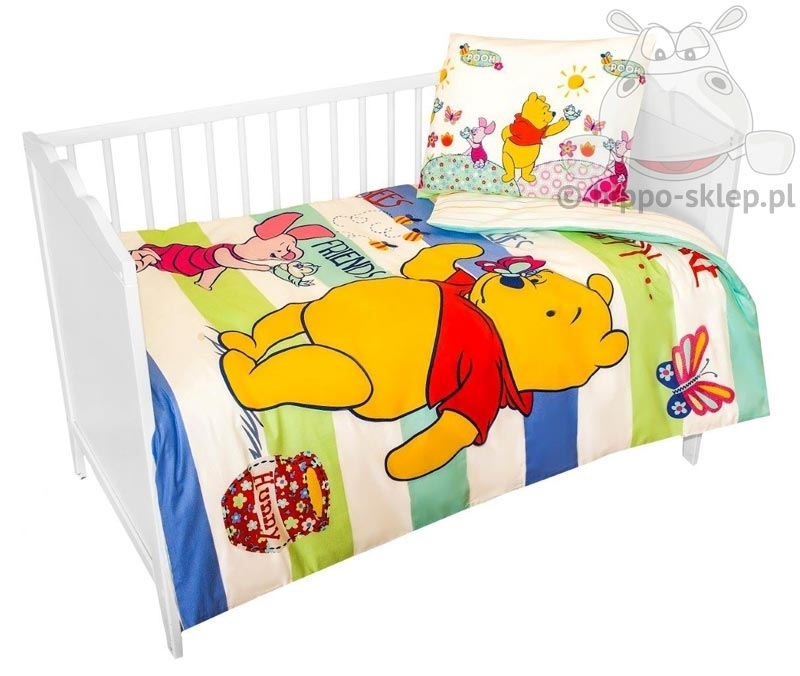 Baby bedding set was made under Disney Winnie The Pooh license, from 100% cotton, pillowcase and duvet cover closing by zip, safety regulations Oeko-tex standard 100 certified. 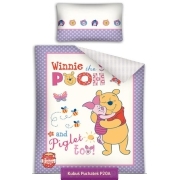 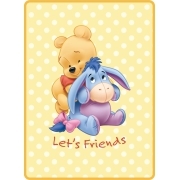 Baby bedding set from Winnie The Pooh collection is recommended for little boys bedroom in light blue or similar colours.